The Batman may not hit theaters until 2021, but Gotham’s Clown Prince of Crime will return this year. Last December, director Todd Phillips wrapped production of his stand alone Joker origin movie. Since then, new details about the film have been few and far between. However, Phillips has finally checked in from the edit bay, with a new picture. It depicts Joaquin Phoenix as Arthur Fleck, the man destined to become Batman’s greatest foe. The picture is purposefully vague, and it’s unclear if Arthur has already begun his Joker meltdown at this point. Regardless, the ’80s setting is reinforced by the numerous video tapes and the VCR. Only one of the VHS tapes is clearly labeled, and it says “Murray,” with another word obscured before the number #227. In the comics, the Joker’s real name hasn’t been revealed and there is no definitive origin story for his life before he became the Joker. Alan Moore and Brian Bolland’s classic graphic novel, Batman: The Killing Joke, depicted the Joker as a former engineer who failed to achieve his dreams of becoming a comedian. The loss of his pregnant wife and his subsequent encounter with Batman at a chemical plant left the unnamed man permanently transformed into the Joker. However, even that story cast doubt on whether it was truly the Joker’s past. The key idea behind it was that anyone could become as insane as the Joker if they were pushed far enough. That’s also the notion that Phillips appears to be keeping intact for his Joker film. It’s been described as a “cautionary tale” and “a gritty character study” about a man disregarded by society. 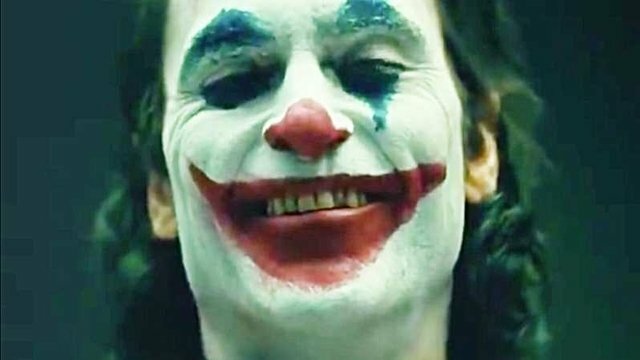 What do you think about Todd Phillips’ latest picture from the Joker movie? Let us know in the comment section below!